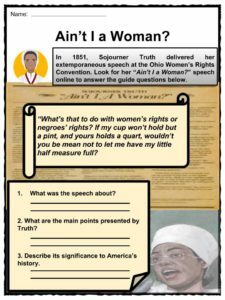 Sojourner Truth was an African-American abolitionist and women's rights activist. 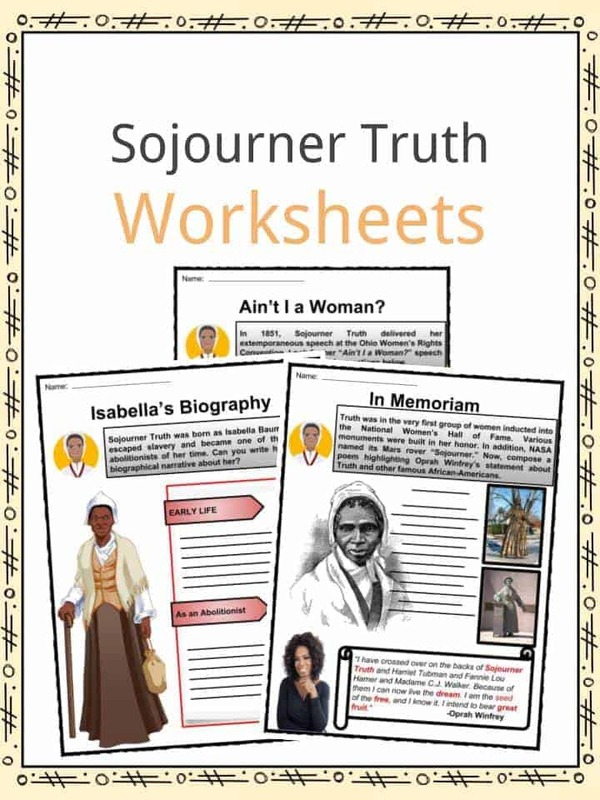 Sojourner Truth was an African-American abolitionist and women’s rights activist. She was born into slavery in Swartekill, Ulster County, New York, but escaped with her infant daughter to freedom in 1826. After going to court to recover her son, she became the first black woman to win such a case against a white man. 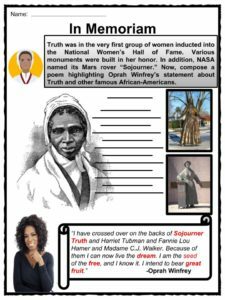 See the fact file below for more facts and information on Sojourner Truth or download the double bundle worksheet collection which includes over 30 worksheets to utilise within the classroom or home environment. 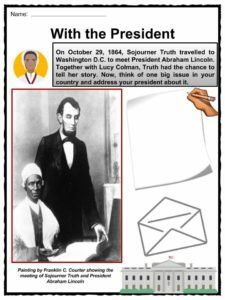 Sojourner Truth’s real name was Isabella Baumfree. 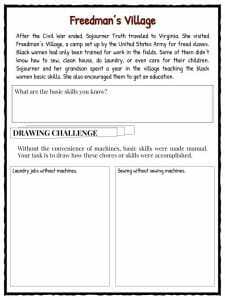 She was born in 1797, on the Colonel Johannes Hardenbergh estate in Swartekill, New York. 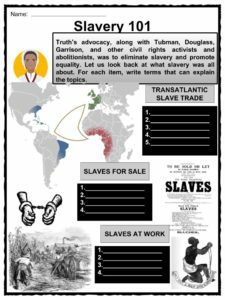 Her parents were Elizabeth and James Baumfree and both were also slaves. She had 12 siblings. She was sold at the age of 9 to John Neeley, along with a herd of sheep for $100. 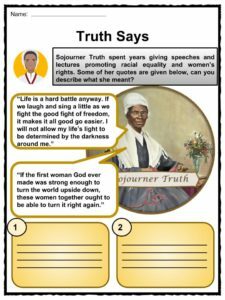 Sojourner Truth had a life-changing religious experience while living with the Van Wagenen family. She became an amazing preacher and she eventually became a traveling preacher. 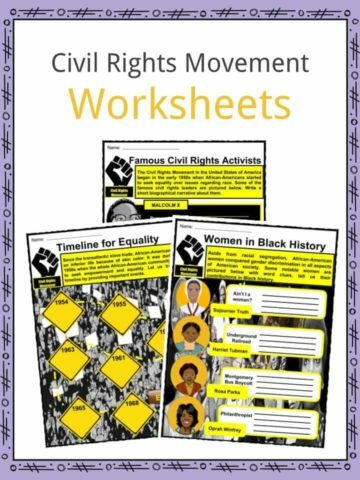 In later years she became a political activist, fighting for the freedom of slaves and women’s rights. Sojourner Truth died on November 26, 1883, in Battle Creek Michigan, at the age of 86. She has been honored many times since her death. Sojourner Truth was born as Isabella Baumfree in 1797, on the Colonel Johannes Hardenbergh estate in Swartekill, New York. Her parents were Elizabeth and James Baumfree and both were slaves. She had 12 siblings. At the age of 9, she was sold to John Neeley, along with a herd of sheep for $100. Sojourner Truth only spoke Dutch until she was sold to the Neeley family. They only spoke English and she learned to speak English quickly because she was severely beaten when she didn’t understand what the family was saying. She was sold several times after that and treated very badly. She was forced to marry an older slave named Thomas and they had four children: Peter, James, Elizabeth and Sophia. Dumont, her last owner, promised Sojourner freedom, but broke his promise. She left one morning with her infant daughter, Sophia. She wandered, praying for direction, and came to the home of Isaac and Maria Van Wagenen. Dumont found her and wanted to take her baby. When she refused to leave with him, the Van Wagenen’s paid Dumont $20 for her and she remained with them until state emancipation on July 4, 1827. 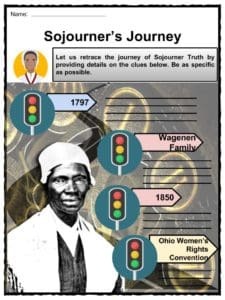 Sojourner Truth had a life-changing religious experience while living with the Van Wagenen family. She became an amazing preacher and she eventually became a traveling preacher. 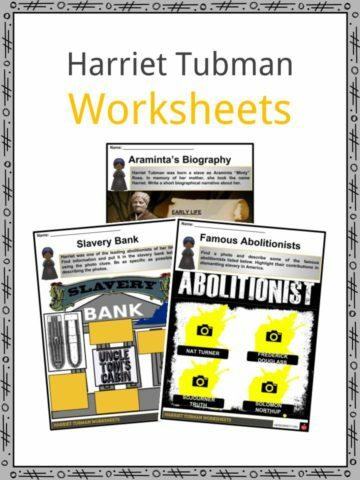 In later years, she became a political activist, fighting for the freedom of slaves and women’s rights. In 1844, she joined the Northampton Association of Education and Industry in Massachusetts. The organization was founded by abolitionists promoting women’s rights and religious tolerance. 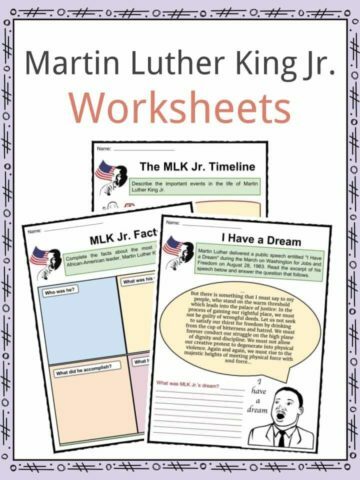 She met Frederick Douglass, William Lloyd Garrison, and David Ruggles who were famous abolitionists. 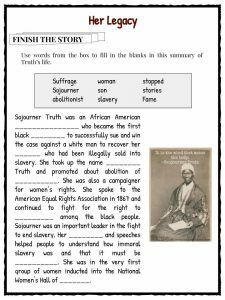 By 1850, The Narrative of Sojourner Truth: A Northern Slave was published. Olive Gilbert wrote the memoir while Truth dictated every word of it. For ten years, Truth spoke in numerous lectures. She travelled from New York to Michigan and other states. 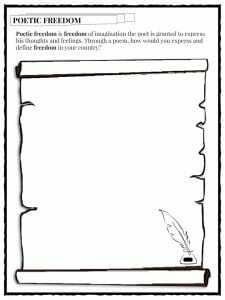 In 1853, she met Harriet Beecher Stowe. 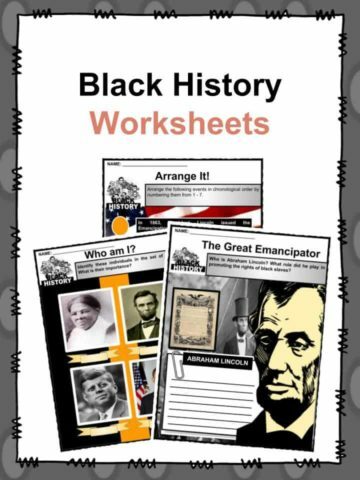 This is a double bundle addition which includes over 30 ready-to-use Sojourner Truth worksheets that are perfect for students to learn about Sojourner Truth who was an African-American abolitionist and women’s rights activist. She was born into slavery in Swartekill, Ulster County, New York, but escaped with her infant daughter to freedom in 1826.